Sunday, 23rd of October at 5pm – Knut Hallen, former missionary to Thailand and the leader of “Samarbeidsråd for Menighet og Misjon” will come and share with us about the fellowship of the believers in the book of Acts. 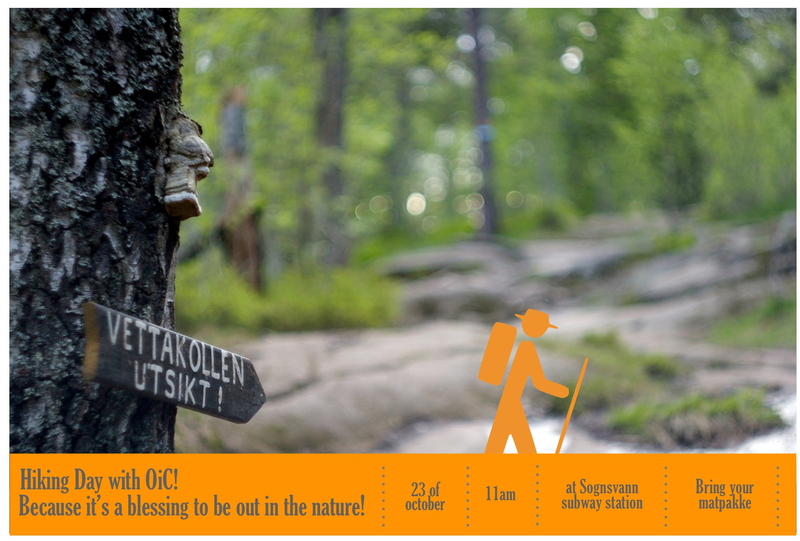 …because it is a blessing to be out in the nature! Bring you matpakke! We will have the visit of Malika Bommen, who will talk about what happened when the disciples started to be persecuted.